Update and Repair Before Listing Your Home For Sale! 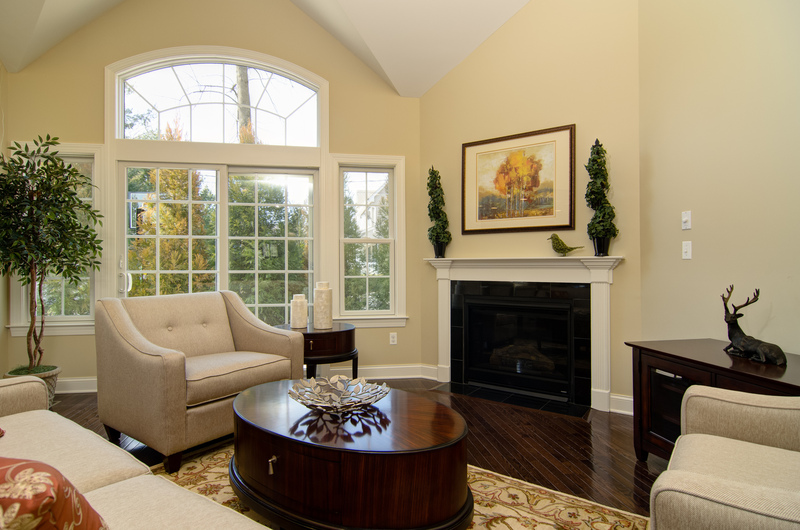 When listing an out-dated older home (anything older than about 10 years) for sale, you can’t expect that furniture re-arranging, de-cluttering, and cleaning are enough to prepare your home for the market. That’s like putting icing on a half-baked cake or lipstick on a pig! The underlying more critical problems and issues need to be addressed first, or the rest is not going to make much of a difference. 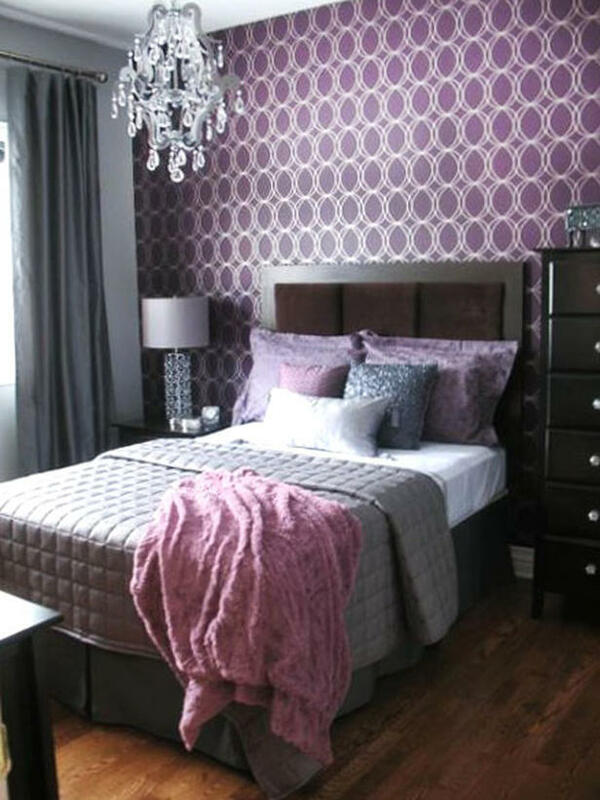 Metallic patterned wallpaper scares off buyers! Too personal in taste, too old. 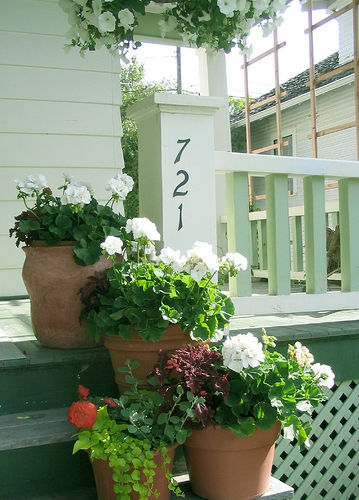 Buyers don’t want to have to paint; it’s a simple, cheap fix to avoid scaring them off. 1) Look down: Out-dated flooring, such as vinyl (even worse, strongly patterned vinyl), or chipped and damaged or stained ceramic or wood flooring. 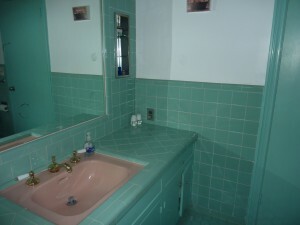 Buyers want clean, repaired or replaced ceramic or wood floors in kitchens and ceramic tile floors in bathrooms. 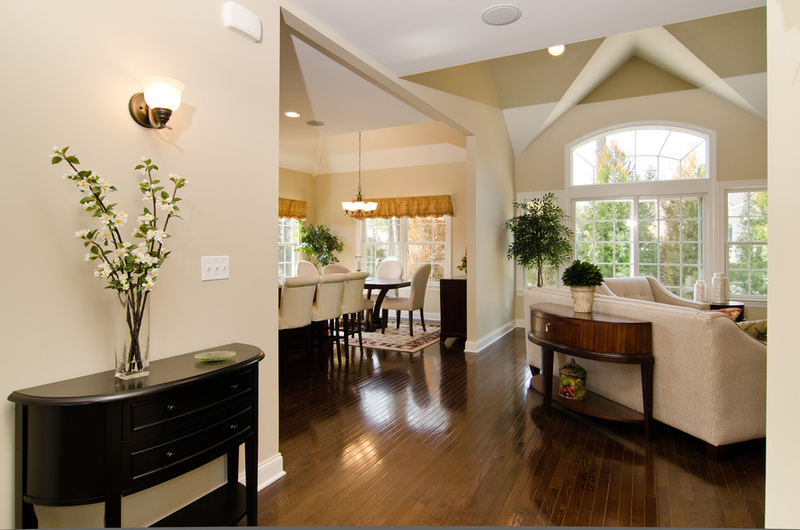 Call a hardwood flooring specialist to fix, replace, or sand and refinish stained or scratched hardwood floors, which are a huge draw to buyers in the mid-Atlantic (and other) areas of the country. 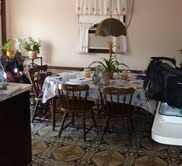 2) Carpeting needs to be at the very least cleaned, if not replaced, depending on condition. If there are hardwood floors hidden underneath, rip out the carpeting and refinish the floors instead. 3) Look up: out-dated light fixtures – anything shiny brass, plastic, small-scale in a large ceiling, or older than about 8-10 years, tells buyers the home is older and makes them mentally downgrade their offer price. 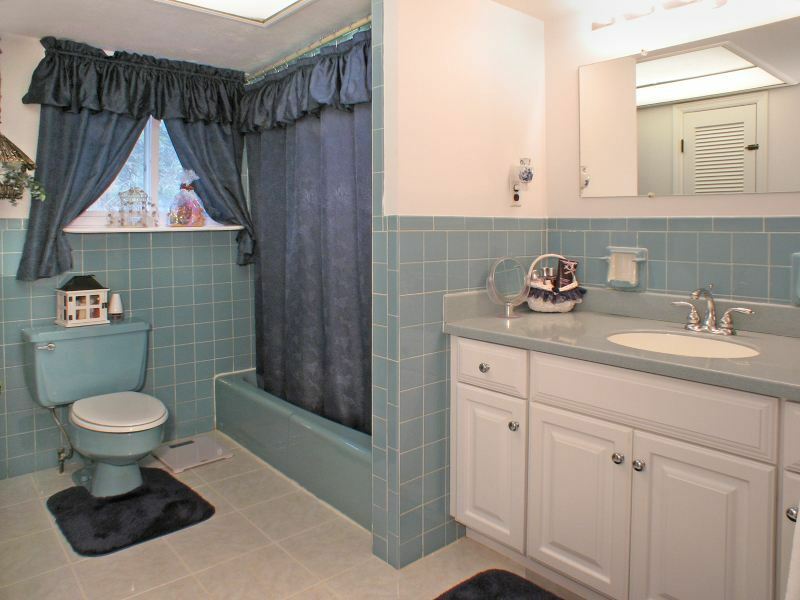 4) Vanities and toilets and tubs in any color other than white or “biscuit” (off-white) are a negative when selling your home. Vanities and toilets are only a few hundred dollars to replace, plus labor, if you shop at the big-box stores in particular. Tubs can be re-glazed white for just a few hundred dollars as well. 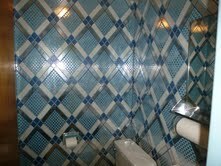 5) Ceramic tile can also be painted or re-glazed inexpensively, so if yours is an old-fashioned color like pink, yellow, blue, or green, change it to white to look clean and universally appealing. 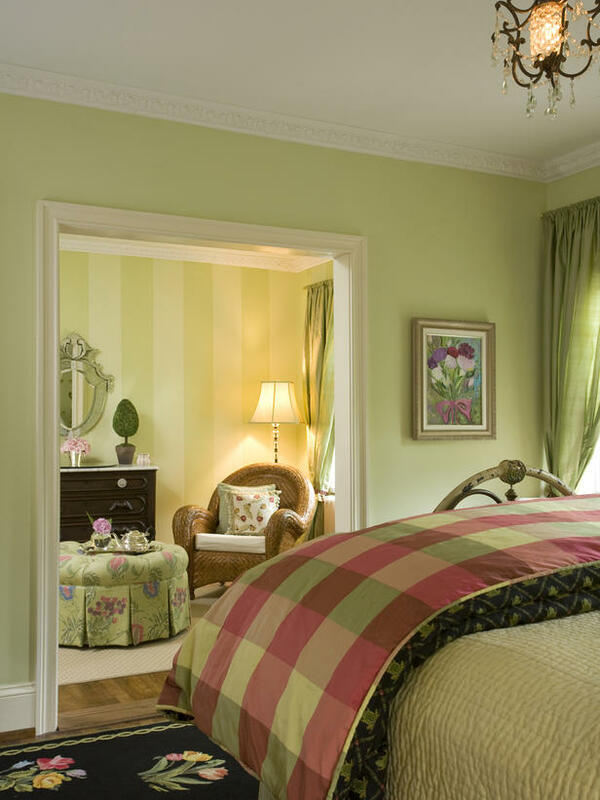 6) Wallpaper: Although wallpaper is starting to trend back in style in dining rooms and sometimes master bedrooms or children’s bedrooms, it is a highly personal décor taste, and I have yet to ever stage a home with trendy new wallpaper! 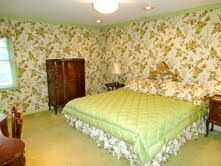 All the wallpaper I see is decades old and holds no appeal to today’s buyer: it just screams “old”! 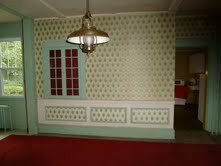 So remove the wallpaper and paint an appropriate color. 7) Now that we’ve mentioned paint, be sure to avoid listing a home with any strong, bright, dark, dramatic colors. 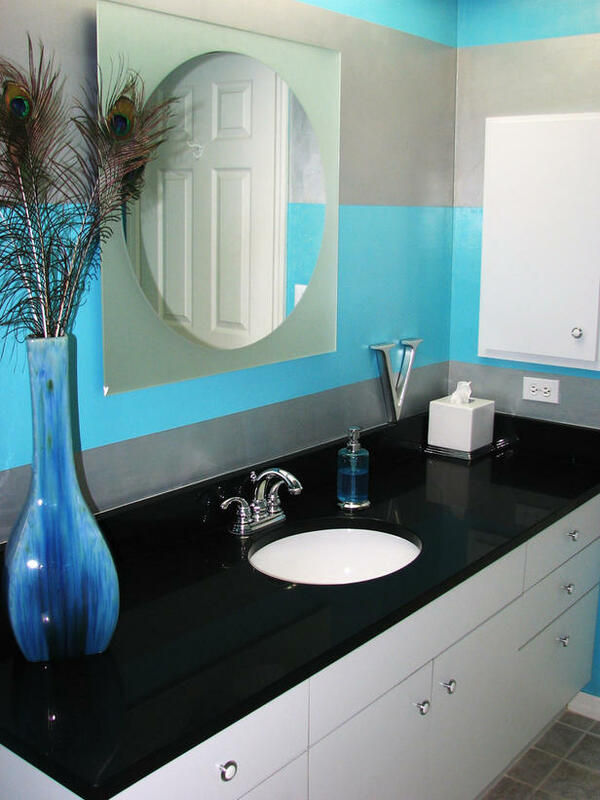 Painting is one of the cheapest ways to give your home a beautiful and modern face-lift and make it look clean and refreshed at the same time. 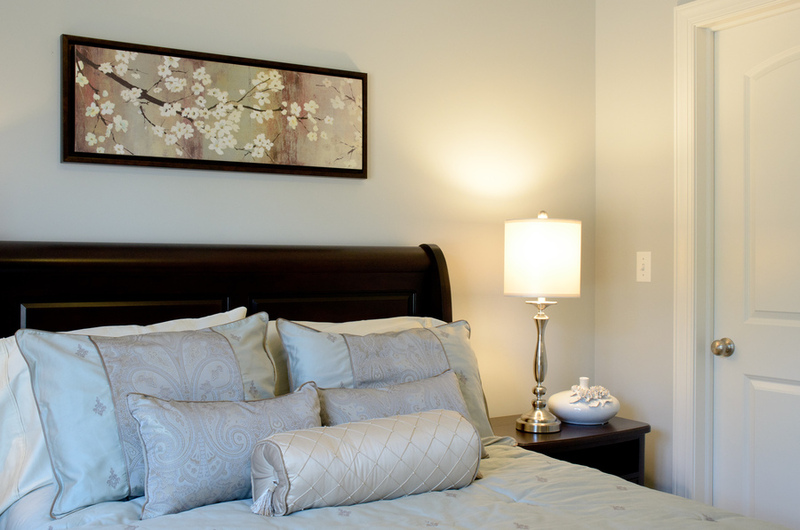 Use neutrals that coordinate with the flooring and furniture finishes in your main living areas, and choose softer blue-grays, greens, yellows, gray, or beige for bedrooms, making sure the color you choose complements your new updated bedding! 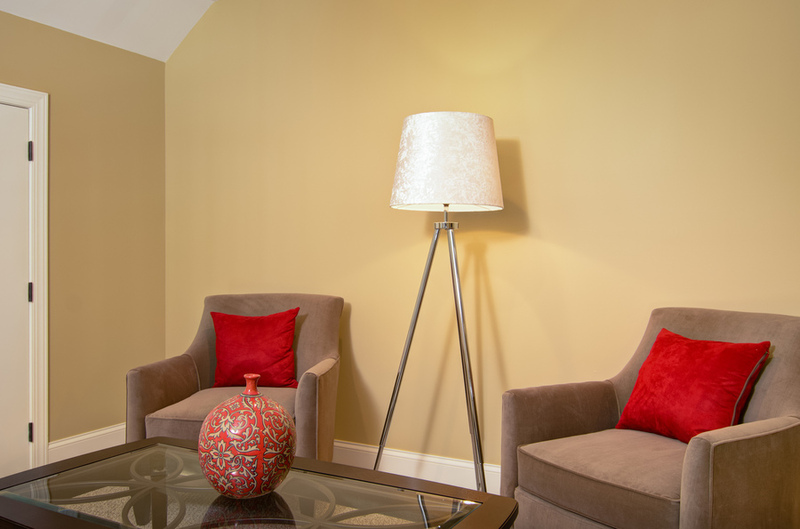 Most stagers have taken at least one, if not more, color classes, and are experts at color consulting so that the colors you choose will wow your buyers! 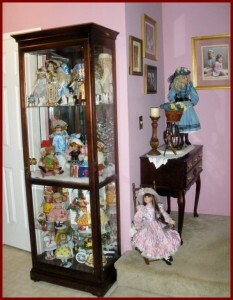 8) Out-dated kitchen cabinets and appliances: What color and style are your kitchen cabinets? If they have arches, they’re out-dated! 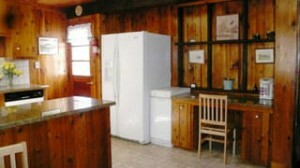 If they are knotty pine, they’re out-dated, unless perhaps you live in a cabin in the woods or on a mountain. If they are bright red or orange or blue laminate, they probably won’t fly with buyers in any place other than trendy and modern NYC lofts. Darker stains are still a popular choice on the East Coast. Ivory, white, and gray cabinets are generally popular too, depending on the style of your home, its neighborhood, demographic, and the other finishes in your home. 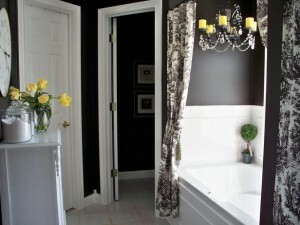 Black and sage green are less popular, but can work in some homes. 9) Wood paneling: PLEASE take your stager’s or decorator’s advice and eliminate your knotty pine or wood paneling, unless it’s teak or mahogany! Whether it’s faux wood or real wood, it is out of favor for many decades now unless it’s been painted white, off-white, or pale gray! 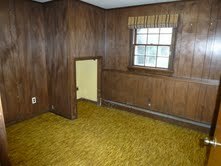 Dark wood paneling screams “old” and “dated” and makes rooms dark as well. I can’t ever say it enough: light, bright rooms (that means leaving every light on during showings and all blinds pulled up and drapes removed or pulled completely aside) SELL houses! I went to an open house last weekend and the room was so dark with all the drapes drawn, I had to ask the seller to turn on the lights so I could see it! 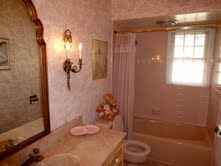 10) Brass trim around showers, brass faucets, toilet levers, etc. : Eliminate the shiny brass trim that is a tell-tale sign of the 80s. 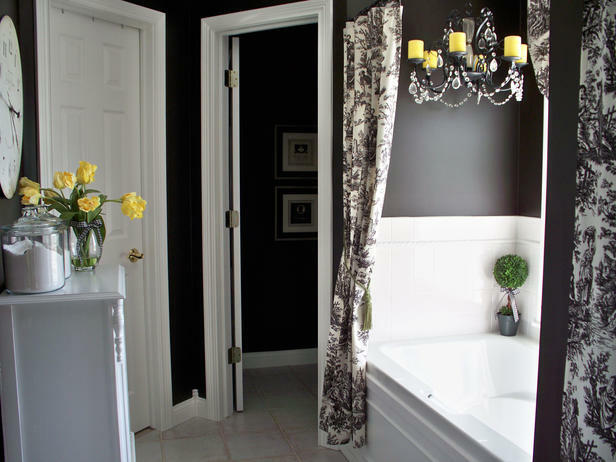 If it’s too expensive to replace tub and shower trim, it can be dulled down or painted using specialty paints — at least a temporary fix to get more money when you sell. Ask your paint specialist or your stager for more info! NOW your house is ready for the furniture re-arranging and trendy “icing on the cake” accessorizing that will prepare it for those close-up MLS photo shots that will woo buyers! 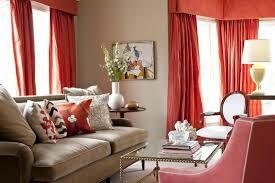 Enliven Your Rooms With Color For Drama and Warmth! 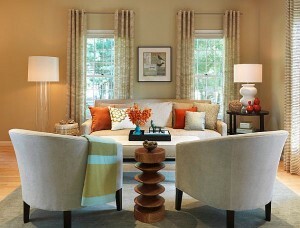 Color in homes tends to make them more joyful and interesting! Pastel colors are coming back, but what matters in your home is what makes YOU feel happy. 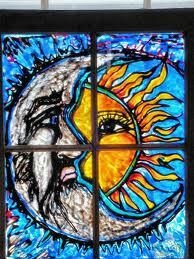 Color is such a personal choice and we all respond differently to different colors. To figure out what colors are right for you, think about what accessories, bedding, clothing colors, or even vacation spots you are drawn to and find pleasing. Do you love the ocean or lakes? 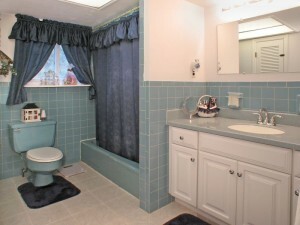 Then blue or blue/green might well be a color you’d enjoy in your home. Are you drawn to the Southwest? 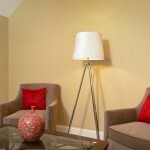 You likely will prefer bold warm colors, such as orange, yellow, or red in your decor. 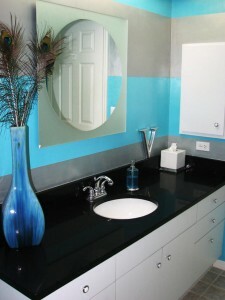 You also need to consider the main purpose of each room (relaxing, entertaining, studying, sleeping); the amount and quality (north, south, east, west) of your light (natural and artificial); cohesiveness with existing hard-to-change finishes such as flooring, tile, cabinetry, granite, even expensive furniture you own; and your partner’s color preferences as well, if you to both live in something akin to harmony! Don’t be afraid to go bold, but when you do, keep colors limited to 2, maybe 3, combinations, and be sure to have one or two neutrals mixed in to get a color palette that works and won’t make you dizzy or overwhelmed! 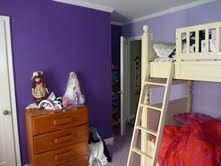 Or call me for a color consult and to discuss what will work in your home for the mood and results you want! The Difference Paint Can Make! This forms the basic “style recipe” that serves as the starting point for putting together design boards and furniture selection. 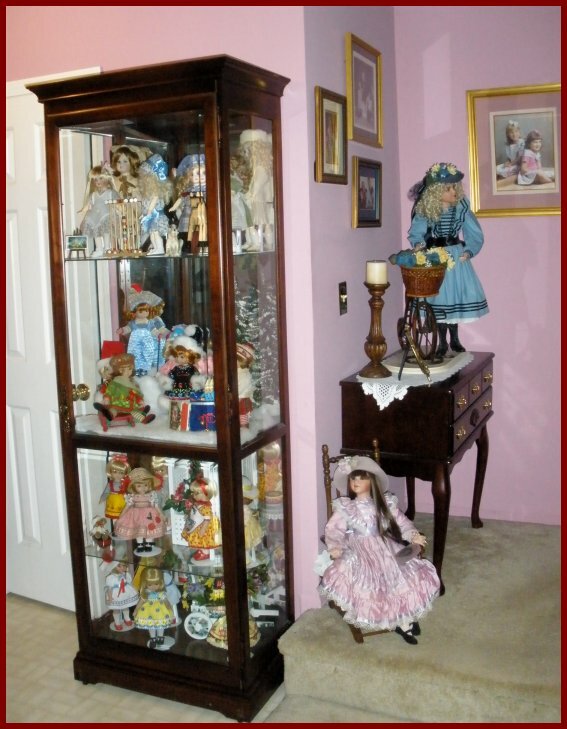 As a decorator, I then add in a little “spice” to the mix with creative and new selections available from to-the-trade stores to see how a client responds to something a bit out-of-the-box for that “wow” factor. 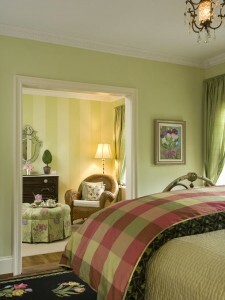 The goal is design that makes clients happy! Here are some examples of how I used accessories in a model home staging project. My goal was to appeal to buyer’s emotions and create an upscale lifestyle look with touches of nature for this development in a country setting. 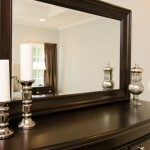 If you’re looking for an inexpensive and easy way to refresh and revive your home to make the most of your space, a one-day makeover is a great solution! First, I’ll interview you by phone about your goals, style, favorite colors, and anything that bugs you about your space, and then make an appointment to come see your house and assess it in person. 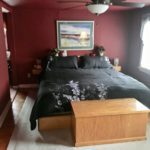 Depending on what we discuss and decide about your space, I will give you a list of suggestions such as new paint colors or adding crown moldings, new drapes, slip-covers, bedding, etc., and/or I can start re-arranging furniture, art, accessories, rugs, etc. 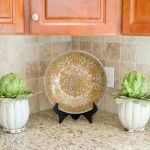 right on the spot to make your home “feel” better. 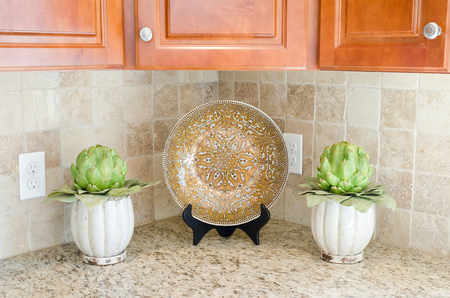 This is a great, inexpensive option that typically costs less than a nice weekend away and results in a house you’ll be happy to show off AND come home to!